A threat this week to burn Bibles in the Malay language is the latest in a series of attacks on the Christian faith in Malaysia. A note sent to a Christian priest in Butterworth on Tuesday, 22nd January 2013 said a Bible-burning pesta or festival would take place in the town’s public park on Sunday [27th January]. Butterworth is sited on the mainland across from the tourist island resort of Penang. The note, written in Malay, ends with a sinister warning in English: “Let’s teach ’em a lesson.” The police have been informed of the threat. Whether the threat will materialise is uncertain but it has had the desired effect of adding to the despair of Malaysian Christians. A fortnight ago the Sultan of the State of Selangor forbade Christians from using the word ‘Allah’, defying practice and convention in the country. The Arabic term for God, in usage in religious and cultural contexts before the dawn of Islam, has been used in Bibles in the Malay language and litany for more than 400 years. The Christian Federation of Malaysia, an ecumenical umbrella body, in a press release described the latest Bible-burning threat as “abhorrent”. 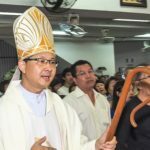 Bishop Ng Moon Hing, chairman of the organisation, which comprises the Council of Churches of Malaysia, the National Evangelical Christian Fellowship and the Catholic Bishops’ Conference of Malaysia, said: “We call on those who desire to foment hatred for political gain to cease and desist from such a vile act.” He hoped and prayed that “good sense would prevail”. The threat to burn Bibles was first made last weekend by an extremist right-wing Malaysian Muslim group called Perkasa which has links to the ruling United Malays National Organisation (Umno). Perkasa’s leader is a Member of Parliament Datuk Ibrahim Ali. At the root of the Allah tug-of-war is the official view that Muslims in Malaysia might be confused if Christians also use the word to describe God. The controversy first surfaced in 2009 when The Herald, a Malaysian Catholic weekly newspaper with a circulation of 14,000, mounted a legal challenge against the Government; it had been ordered to stop using the word Allah or risk losing its publishing licence. In December 2009 the High Court ruled that Allah was not restricted to Muslims and the Catholic Church had the right to publish the word in the Malay language section of its weekly. (The Malaysia Chronicle reports that Perkasa was founded in the wake of this ruling and that the group staged protests at several mosques, as did Umno groups). The verdict led to fire-bombings and vandalism targeted at churches and Christian-run schools. Prime Minister Najib Abdul Razak, who has espoused a policy of “One Malaysia,” visited affected sites and offered Government funding to repair the damage. The Government, nevertheless, appealed against the High Court ruling to appease Malays. The case is pending in the Appeals Court. The sense of persecution intensified in subsequent years when the Government confiscated Bibles in the Malay language meant for the East Malaysian states of Sabah and Sarawak. 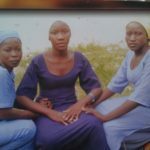 The Government finally bowed to pressure and released them in 2011, but only for use in those two states where the indigenous population is largely Christian. Restrictions on church building, pressure on Malaysian Muslims to boycott religious festivities of their Christian friends, and charges of apostasy levelled against Muslims converting to Christianity, are among other forms of political and religious intimidation. Annou Xavier, a lawyer, claimed the edict amounted to demeaning the decision of the High Court. He has written to the religious council of the State of Selangor contesting the Sultan’s decree and pointing out that the Prime Minister had agreed that non-Muslims may import, buy, print, publish, distribute, read and use the Bible in any language, including the Malay language. Bishop Paul Tan Chee Ing, the Roman Catholic Bishop of a Malaysian diocese, was astonished by the Sultan’s “unfair” edict. “If the Malaysian Government forbids people of faiths other than those who profess Islam from using the word Allah, we would be the laughing stock of more enlightened people in other countries,” he said. Progressive Muslim scholars in Malaysia argue that Malay Muslims who favour the ban “are not clear about their own faith”. Political observers agree the issue has been reignited because of a looming general election. The ruling Umno party and Government, which has held power since Independence in 1957, is under pressure from a political coalition comprising Chinese social democrats, Islamists and citizens’ rights groups. These are disillusioned with the ruling Umno Government because of wide-scale corruption and blatant abuses of justice. Fearful of losing their stranglehold on power in the forthcoming general election, some agitators in Umno are taking up the Allah issue to woo back Malays disenchanted with the ruling Umno, and to force a schism between the Chinese and Islamists in the opposition coalition. The State of Selangor, prized for its wealth and world-class infrastructure and which fell to the opposition in the last elections in 2008, is a must-win State for Umno in this next election, to be held within three months. Malaysian Christians, who form only 9.2 per cent of a population of 28 million, say their anguish is profound as their faith is again under attack. They say that the threat to hold a Bible-burning festival flies in the face of the spirit of a once-famed harmonious multiracial and multi-religious country where the Federal Constitution guarantees freedom of religion.